If you struggle with an addiction to drugs or alcohol, then you likely have a chemical dependency. This simply means that your body depends on a chemical substance. The substance of choice could be anything from heroin to cocaine. An addiction includes the chemical component as well as psychological or behavioral consequences. Learn more about what a chemical dependency is, how it forms, and its main symptoms to determine if you might have one. Substance use and abuse can be devastating, and lead to various health complications. However, simply abusing substances like drugs and alcohol doesn’t necessarily mean you have an addiction. Over time, abuse can turn into a dependency. This means that the body must be physically dependent on a substance to function properly. For example, this could be an opioid dependency. Someone who relies on opioid painkillers every day might not realize they’re struggling with addiction. If you have to consume a certain amount of an illicit substance to feel normal, then you likely have a chemical dependency problem. There are many different reasons that chemical dependence develops. These include genetic factors, the brain’s reward system, and one’s social environment. A chemical dependency begins psychologically. When consuming any addictive drug, your brain generally releases feel-good chemicals. Cognitive receptors pick up these signals and reduce feelings of pain while increasing euphoria. This changes the way the brain’s reward system functions. Other sources of pleasure, like food or companionship, aren’t as appealing as the chemicals overriding your system. This means that, cognitively, you’re dependent on certain substances in order to feel happy. Not everyone who abuses substances develops dependence. Overall, there’s evidence that suggests certain individuals have a genetic predisposal to addiction. This explains why addiction is often within multiple familial generations. It also demonstrates why some people have an addiction problem after only one use. The signs of a drug or alcohol addiction can vary from one person to the next. Furthermore, some symptoms depend on the substance in use. 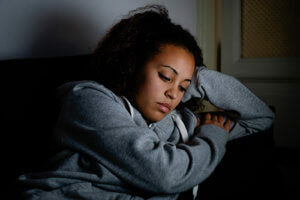 However, there are obvious, telltale signs of drug or alcohol dependency. These signs can be behavioral, physical, or financial. Many people struggling with a chemical drug or alcohol dependency exhibit physical changes. This often includes rapid weight loss or gain. Additionally, certain forms of substance abuse may depress the central nervous system, reducing metabolism. Other substances are stimulants and may increase metabolism. A chemical dependency or addiction can lead to financial struggles as well. People with chemical dependence may isolate from social functions or behave strangely. Above all, dependency and addiction changes users into unappealing versions of themselves. Put yourself first and fight back against chemical dependency. At 1st Step Behavioral Health in Pompano Beach, Florida, you can start recovery right now. Take the next step toward better health, happiness, and fulfillment by calling 866-971-5531 today.